PENSACOLA, FLA - When it comes to adding privacy windows in the home, having a variety of decorative glass options helps builders customize their selection to the tastes of their clients. 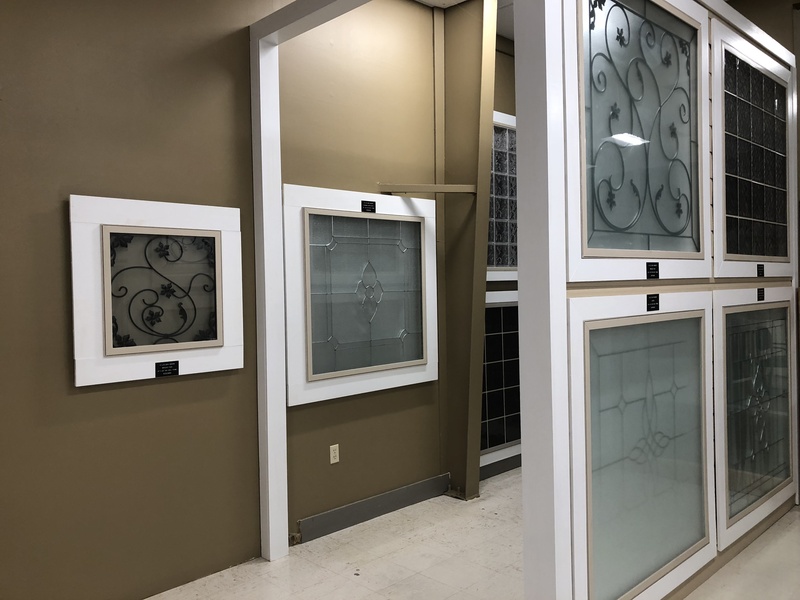 At Wilson Lumber in Huntsville, Alabama, the team has discovered that having an on-site display helps both builders and homeowners "connect" with the specialty windows. "Our custom-built display of Hy-Lite® decorative glass windows allows our customers to visualize exactly how a privacy window will look in their home," says Robb Wilson, president of Wilson Lumber. "Customers come to us because they want to see, touch and feel what's available. Having our Hy-Lite display allows us to show them all the possibilities for a privacy window. Once they've seen it, they can make a more informed decision." Wilson Lumber has offered Hy-Lite products for almost two decades to their customers. According to Wilson, some builders offer hollow vinyl obscure glass in their homes with the option for homebuyers to upgrade to a Hy-Lite privacy window. Other builders include the Hy-Lite window as a standard part of their home package. At Wilson Lumber, which was recently named 2018 Dealer of the Year by ProSales magazine, the Charming Bloom window is their best selling privacy window. Part of the economically-priced Bath-Lite® Series Windows from Hy-Lite, the Charming Bloom fixed window comes in three different sizes --- ideal for accenting any sized bathroom. Introduced to the marketplace in 2013, the Bath-Lite Series includes the Aurora, Olympia, Decorative Star and Charming Bloom designs in a variety of sizes, frame colors and nail fin options. The windows have all been designed and constructed to offer an elegant way to ensure privacy in the home while allowing in light. Classic silkscreened designs on the windows replicate individually-pieced decorative glass windows at an affordable price. "Hy-Lite windows are a beautiful product at a price customers can afford," says Wilson. "Products like these help us build a successful company. Our mission is to grow our company while upholding Christ-like principles and inspiring people to grow. We do that through our core values of always doing the right thing, treating others the way you want to be treated, getting the facts, being responsible for your actions and challenging yourself to grow. "These values are what allow us to be successful at building materials, relationships and communities, which we've been doing in Huntsville, Alabama and the surrounding area, since 1949. We're proud of the many building product partners we have in the industry. Hy-Lite is one of those companies that allow us to offer top-quality products to our valued customers." Wilson Lumber, a third-generation family-owned business, focuses its business on being a trusted partner that offers superior expertise materials industry, with a wide-ranging breadth and depth of quality products and services on-time and in-full. For more information, visit www.wilsonlumber.net. Hy-Lite, a U.S. Block Windows Company, is the leading manufacturer of acrylic block, glass block and decorative glass windows. The company's privacy product options include acrylic block shutters, accent panels, radius walls, partition walls, door inserts and shower walls. Since 1988, the Pensacola, Florida-based company has been committed to providing residential and commercial construction professionals and homeowners with elegant, affordable privacy window designs. For more information, visit www.hy-lite.com.